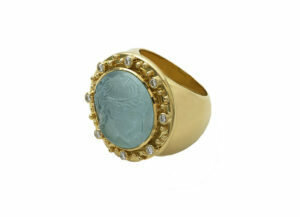 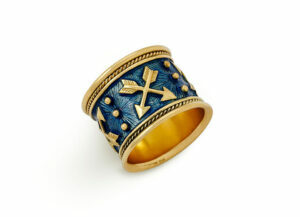 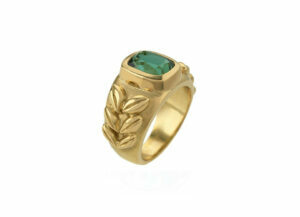 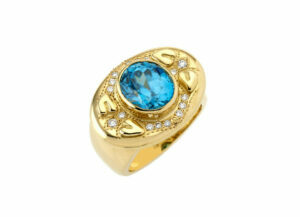 A beautiful 18ct yellow gold ring. 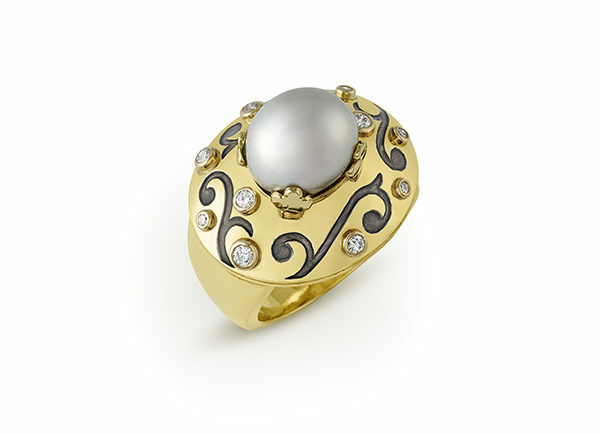 Set within trefoil claws is a beautiful cultured Tahitian natural grey pearl. 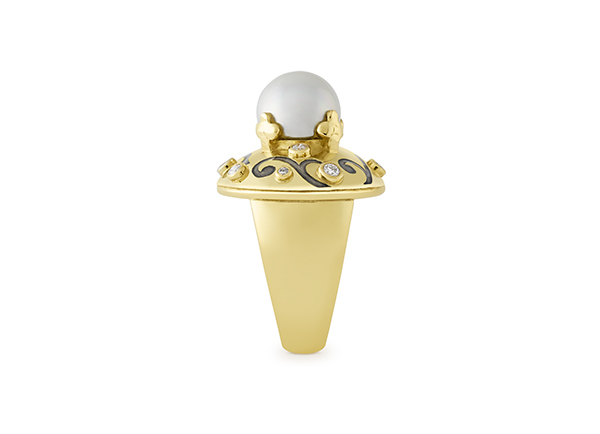 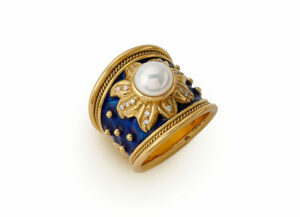 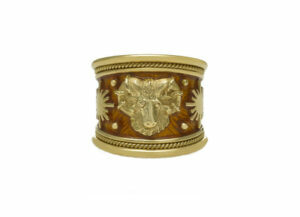 The highly polished yellow gold surround has a pale grey enamel swirl pattern, alternating with diamonds.